Are you looking for a best budget wired or/and wireless lavalier mic for youtube, vlogging, podcasting, and interviews? I took a week ago for research a ton of informations and products. I’ve been looking for advices from guys on reddit, quora, forums, and youtube. I’ve picked up a list of 4 best lavalier microphones (wired & wireless) on a budget under $100 for my considering later. Finally, the last choice is Rode smartLav+ Lavalier Microphone for my Iphone, and Shure MVL Omnidirectional Condenser Lavalier Microphone as a gift for my mother’s birthday. Why I have chosen them? Please reading my review at below. Good review, and tested sound on youtube. There is two type of 3.5mm jack connector for lav microphones. That is 3 rings (TRS connector) and 4 rings (TRRS connector). The 4 rings (TRRS) connector used for smartphones such as I phone 6 plus and android phones. And the 3 rings (TRRS) connector used for DSLR cameras, camcorder, and handy recorders. You can change TRRS connector to TRS connector easily via Rode SC3 3.5mm TRRS to TRS Adapter. I intend to use iPhone and Android smartphone for vlogging, podcasting and youtube channel. However, the internal mic of the smartphone is not good. It captures background noise so much. My friend Cameron, she has used Rode smartLav+ for three months, and having a good feedback when I ask her about its sound quality. I also dive deeper into Reddit, Quora, youtube, and find out positive comments about Rode smartLav+ as well. Rode smartLav plus matched all my 5 criterias above. It is the professional mobile microphone come from RODE – a reliable brand. This is one of the best lavalier microphones you should consider first. As you may know, the sounds are under 60Hz is just noise. Rode smartLav+ can capture frequencies 60Hz – 18kHz. That is why Rode smartLav+ is a good noise-canceling lapel microphone. 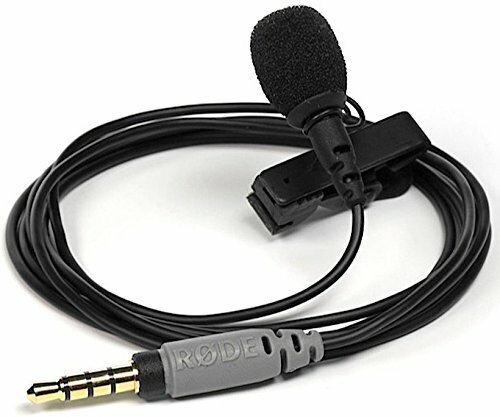 No doubt, Rode smartLav+ is designed to effectively reduce background noise, and it is one of the best lavalier mics under $100, is it budget-friendly right? Rode smartLav+ is an omnidirectional microphone that captures clear sound within a 10-inche radius. I feels its clear, warm & sweet sound when compare to internal mic on my Iphone 6 plus. 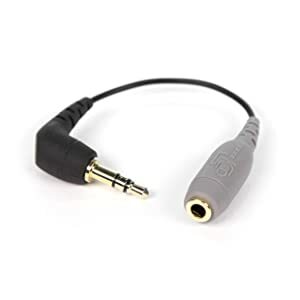 This lavalier mic has a gold 4 ring 3.5mm (1/8″) jack connector– which is specially designed for smartphones. So if you want to plug Rode smartLav+ into other devices such as handy recorders, and DSLR cameras you will need an adapter to change it become 3 rings via a TRRS to TRS adaptor. Another thing that I like this lapel mic is, RODE has own recoding app. You can easily record audio with Rode smartLav+ via Rode REC app or any other recording apps. However, the Rode REC app is highly recommended because of some cool extra features such as mic sensitivity (mic gain) adjustment or the capability of uploading audio to Soundcloud and Dropbox. In short, if you are seeking the best lavalier mic for vlogging, youtube videos, interviews, and podcast, the Rode smartLav Plus is worth every penny. Beside, Rode smartLav+ is not just used for iPhones, Android smartphone but also for DSLR, handy recorders, and any device that supports external microphone. As for windows smartphone such as Lumia 950, you can only use Rode smartLav+ mic to record audio files. When you record videos, the internal mic will work. And because Rode app doesn’t support on windows phone store, you will need other alternative recording apps. Shure MVL has all features like Rode smartLav+ has, such as filter out background noise very good, the 4 gold ring 3.5mm connector. Shure MVL has ShurePlus MOTIV recording app on iOS and Android. The video below shows you how to use it. Shure MVL vs. Rode SmartLav plus – What’s the difference? In fact, Shure MVL produces a little bit bright sounds while we can get warm sounds with Rode smartLav+. You like the warm sound, Rode SmartLav plus is one of the best lav mic you should get, otherwise, Shure MVL is outstanding mic around $50. Personally, I like the sound of both Rode smartLav+ and Shure MVL. And the most important is they do NOT create background noise from shirt rubbing while recording. So I bought both of them for myself and my mom. 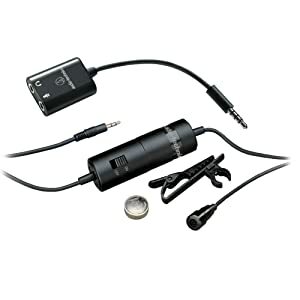 If you are looking for a good quality lavalier mic to plug it into wireless transmitters, Sennheiser ME 2 is great for. Sennheiser ME 2 has bright sound quality is similar to Shure MVL lapel mic, but has a little cleaner. Additionally, it has a frequency response range from 50Hz to 180 kHz. It means reducing background noise and does NOT create noise from shirt rubbing while recording. I like its design of Sennheiser ME2, it is small size and nice-looking, what I don’t like is the price too high. If Shure MVL and Rode SmartLav plus has 4 gold rings 3.5mm connector, the Sennheiser ME2 has 3 rings 3.5mm connector with the locking mechanism. 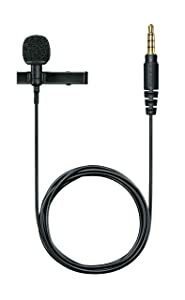 That is why Sennheiser ME2 lavalier microphone is used for Zoom H1n handy recorder, and wireless transmitters audio recording. I think Sennheiser ME2 is best suitable for wireless audio recording system rather than for iPhones or Android cellphones because of 3 rings 3.5mm connector and the locking mechanism with it. So can I use Sennheiser ME2 for the cellphone? The answer is YES but you need an adaptor to change it to 4 rings connector. It goes without saying that the built-in microphone of cameras will never ever beat external dedicated microphones in recording good quality audio. And using a good external microphone or a portable handy audio recorder is the best way to improve audio recording quality as filming. If you are not happy with the audio quality of your built-in camera mic and looking for a good alternative lapel microphone, Audio-Technica ATR-3350 IS is my recommendation. Audio-Technica ATR-3350 IS is one of the best budget level lavalier (lapel) microphone for both DSLR cameras and smartphones. First, it comes from Audio-Technica – a reliable audio brand with a reasonable price. Second, the audio quality is fairly good in the low price range. Plus, Audio-Technica ATR-3350 IS has a 6m (20’’) long cable that helps you record your voice clearly even when standing far from the smartphone or DSLR camera. You can also plug Audio-Technica ATR-3350 IS into your smartphone via an adapter (TRS to TRRS adaptor). Honestly, I don’t like using this mic for my smartphone when outdoor because of its long cable. Audio-Technica ATR-3350 IS is only suitable for home recording. I would prefer to use Rode smartLav+ or Shure MVL for the smartphone rather than Audio-Technica ATR-3350 IS because they have short cable (1.2m) – very mobile for shooting. In short, Rode smartLav+ and Shure MVL are two of the best lavalier (clip on) mics for iPhone, Android smartphone, and they are especially ideal for on the go vlogging. The both are not the highest quality lavalier microphones, but they works well and are a great value. …while Audio-Technica ATR-3350 IS is the best budget lapel mic for DSLR, and it is suitable for using in the studio or room. 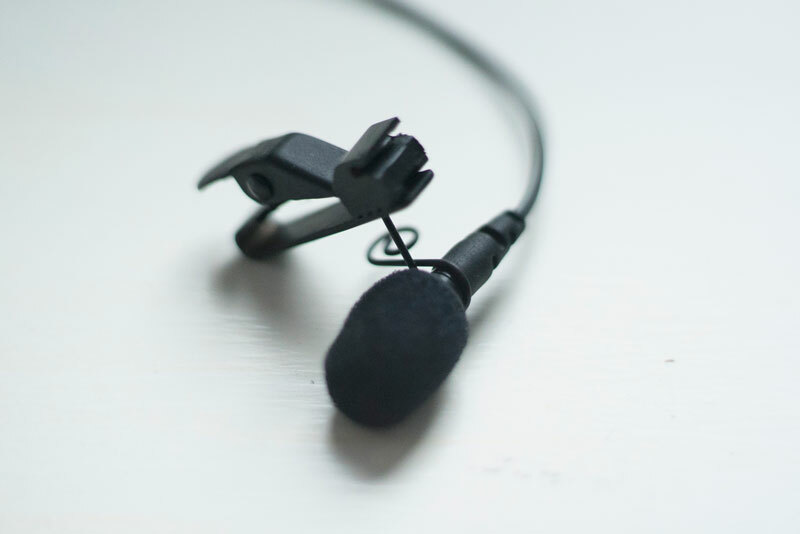 Hopefully, the short lavalier (lapel) microphone review in this article will help you buy the good lavalier (lapel) mics.